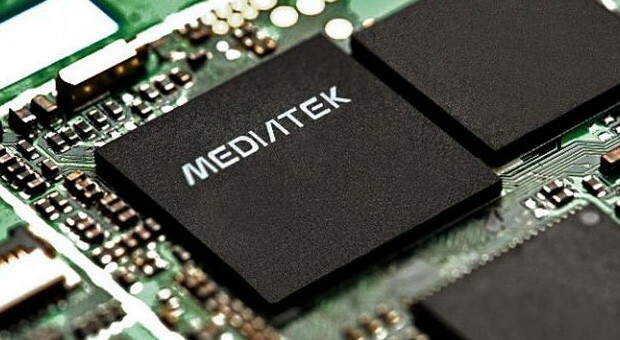 The MediaTek MT6739 is a 64-bit ARM-based SoC launched in 2017 primarily for small budget Android devices. The quad-core processor is based on the Cortex-A53 architecture and clocks up to 1.5 GHz. It integrates an LTE modem (Cat. 4 DL / Cat 5 UL) and a PowerVR GE8100 at 570 MHz (the predecessors used ARM Mali GPUs). Furthermore, the SoC integrates a 802.11 a/b/g/n Wi-Fi adapter and a video de- and encoder in hardware. The MediaTek MT6737T is a 64-bit ARM-based SoC announced in 2016 primarily designed for smartphones (mainly Android devices). It is manufactured in a 28 nm process and consists of four CPU cores based on the 64-bit Cortex-A53 architecture clocked at up to 1.5 GHz (MT6737 up to 1.35 GHz). The GPU is an ARM Mali-720 MP2. It integrates a Cat.4 LTE modem with CDMA2000 as well as a video de- and encoder for 1080p30 videos (H.264 and H.265). The Cortex-A53 is the successor to the popular Cortex-A7 design. In addition to the jump from 32-bit to 64-bit architecture (ARMv8 ISA) to address more than 4 GB of memory, the new design offers better branch prediction and higher performance-to-power ratio that rivals the Cortex-A9. The four cores of the MT6737 are clocked at up to 1.5 GHz and are roughly on par with the Snapdragon 410 (4x Cortex-A53 at 1.2 to 1.4 GHz). The processor is fit for common tasks like browsing and running light applications. The integrated single-core Mali-T720 is an entry-level GPU clocked between 550-650 MHz for the MT6737 (or 600 for the MT6737T). Most Android games will play at acceptable frame rates on low or medium resolutions and quality. Besides CPU and GPU, the MT6737T SoC also integrates a memory controller (1x LPDDR2/3 733 MHz), multiple radios (WLAN, Bluetooth, GPS), and a cellular modem (GSM, UMTS, GPRS, HSPA+, HSUPA, TD-SCDMA, EVDO, and LTE Cat 4). Its integrated video engine allows for 1080p playback at 30 FPS. Cameras are supported up to 13 MP.